After buying a phone running Android, most users want to install the latest and freshest apps available in the market, while the other set of consumers look towards meeting their needs and for many, having a specific email application is top priority. Yahoo is no doubt; one of the most used email services on the internet today and has been around for a very long time, building up a dedicated user base. With Android also now having become the most widely used mobile phone operating system, there is just no way an app would not be available for it. 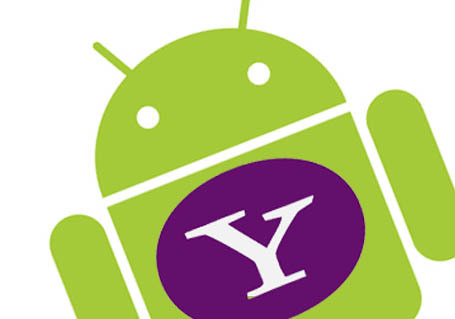 For Android users, there are basically two ways that one can have Yahoo fully functioning on their smartphone device. Follow the steps below to help getting one of the most used email services on the planet, on your device, today. Every smartphone comes with the ability to install a mail server, based on your login details, using a built-in mail application. This is one of the most easiest and helpful ways to get going right away and can produce the best results, with apps being shaky depending on what phone specifications there are. In Android devices, a default ‘Mail’ app is quiet easy to find in the menu and after clicking on it, it will ask for a few simple details on which mail server you are looking to configure. As Yahoo is one of the most common used services, all it will ask for is a username and password, resulting in you now having Yahoo mail up and running. What used to be known as the Google App Shop, has now been renamed to ‘Google Play’. To find the latest app made by Yahoo for Android devices, which is free of cost, tap the ‘Apps’ tab, or in other devices, the ‘Play Store’. After getting into Google Play and having an internet connection running, the next step is to tap the search button and enter in ‘Yahoo! Mail’. A number of applications may appear now on your screen, but a definite way to tell which the official one is, is by looking at the description of the app and how many users have till date downloaded it, which in this case, should be the most. After finding the app and confirming that it is the one, tap on Install at the top portion of your screen and tap on OK to confirm to begin downloading. After the app has been downloaded, it will automatically install and appear on any empty space on your home screen. After the app has been installed and found on your phone, the last step is as simple as the first by just logging in using your username and password to begin using Yahoo! Mail.